You can make faster gains if you create an exciting interactive offer and are prepared to spend money. We have the evidence and the method on how to do it. Social Networking sites are now seen as a main interactive medium by marketers and companies. They offer the potential to any organisation for achieving some key enterprise goals. Promoting new products and special offers. The underlying opportunity is for brand building. The obvious opportunity is that Networks attract traffic by number of user accounts. This is generally assumed, incorrectly, to be free of cost. However, to make an impact, you do have to make an investment to draw people in. Either you pay the social network directly to be given prominence in positioning. Or you simply advertise on the network. 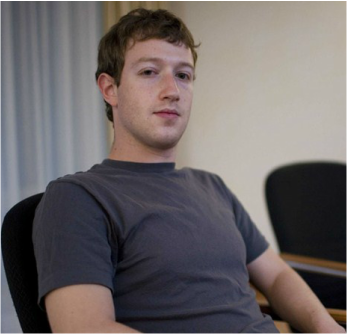 Mark Zuckerberg - Founder of Facebook. What's Ning? It enables you to create your own social network, but is not free. Google Plus has taken time to show results and is still not a proven force in the networking space. In the last few years many new networks have appeared. "Pinterest", a site for image sharing, is one example which has quickly become more popular and relevant for commercial use. So what can you get from these sites as a business. Linking to aid search engine positioning. Paid promotions. These sites have monetised themselves to allow you to pay for advertising. Products are recommended and referrals are asked for between friends and groups. The reality is that these sites attract a massive amount of traffic. Facebook alone often attracts more user traffic than Google. This makes them magnets for anyone who wants to promote their business, or even products. Review our brief survey of prominent social companies. However - the financial opportunity is not clear as there is one key aspect which many overlook. The users of these sites do so because generally they want social interaction, and not commerical intrusion. They are not there to be unduly influenced. You need to be careful in your approach should you alienate potential "fans". Importantly, most activity is being undertaken on mobile devices. The cycle of interaction between websites and social always points to mobile. Refer to our page on "Responsive Design"
In general "Ad Blockers" are being activated more on mobiles. "Millennials" are also tiring of being the main target of social networking ads. We recognise that you can be a business, have a good following, and do all the right things. We know of companies whose social networking led to a 20% increase in sales. But there are others who are too obviously only intent on making money and could not generate interest. Overall, one key to social networking is patience. You have to be in it for the long-term. You are building trust with your community and once that's achieved then the word spreads. The network opens up and there will be an opportunity for more business.